The Lamborghini Diablo, in my opinion at least, is Sant’Agata’s finest work. People may say that the Miura is one of the most beautiful cars of all time, but the Diablo is the one that fully represents what Lamborghini is supposed to be about: extreme. It’s the perfect supercar design, a cohesive blend of flowing lines and triangular elements. It’s simple yet bold. It’s extremely low and egregiously wide. And, oh, it has so much flair - just take a look at that side profile! The sharp, diagonal cut taking a sizable chunk off its rear clip, for instance. And do you see the way the beltline takes a sharp dip under the wing mirrors and then continues its smooth rise into the aft of the car, mimicking the shape of a chicane? Amazing. 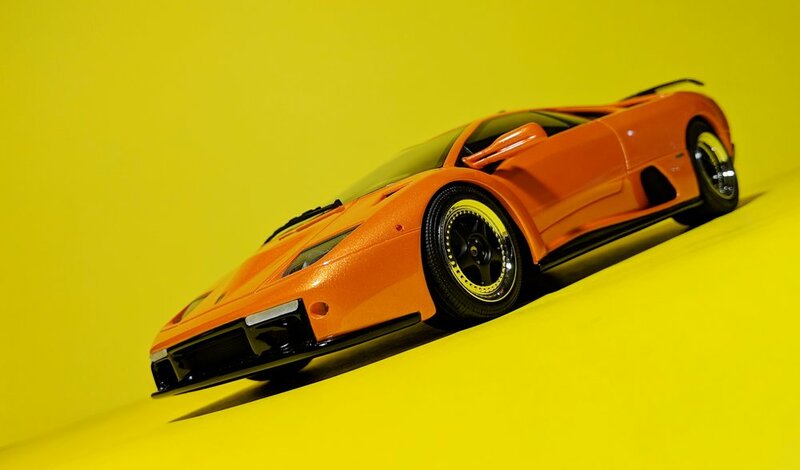 El Diablo, the successor to the Countach and the precursor to the Murcielago, was Lamborghini’s V12 gift of the 90’s, the quintessential supercar of that decade. 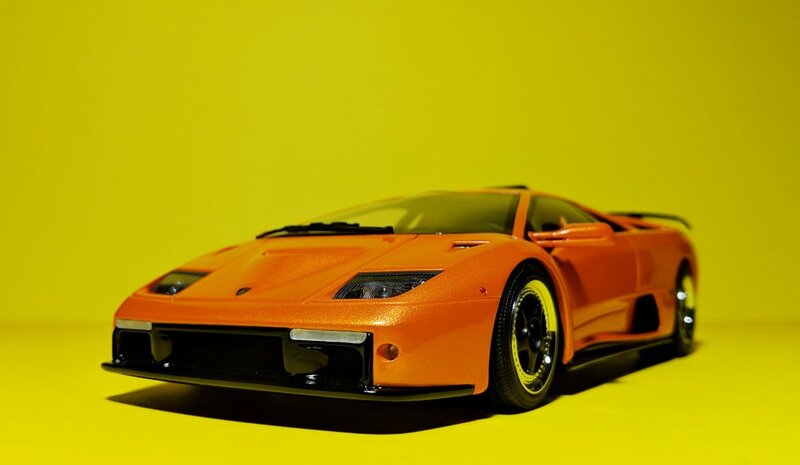 It’s as fast as it looks; along with the Diablo’s head-turning design, this was also a car that could eclipse 200 miles per hour, and that was quite the achievement for its time period. 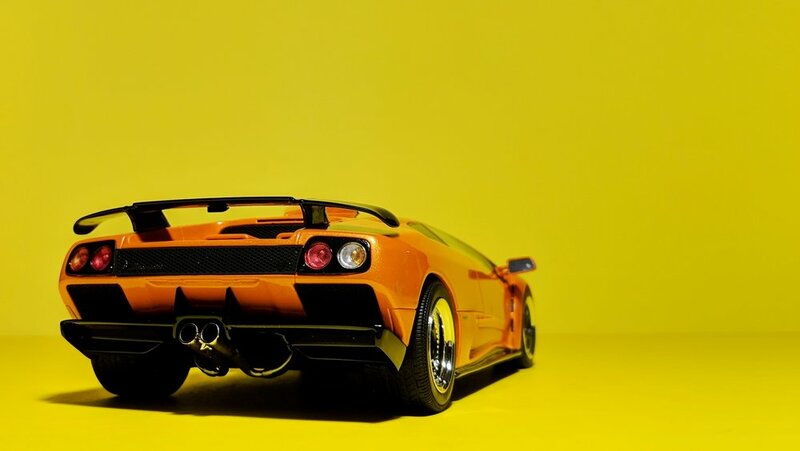 As a 90’s kid and, resultantly, a huge fan of 90’s cars, the Diablo is one of my favorite cars of all time. I had a little 1:24 scale Maisto toy of one of these as a kid. Not the GT, mind you, but a standard Diablo - a Diablo nonetheless. It was yellow and it was missing both of its doors, which I may or may not have broken off by playing with them too much. Hey, scissor doors are fascinating, especially when you’re a 5-year-old, ok? In the late nineties, the devil went through a major facelift that, most notably, saw the transition to exposed headlights, infamously sourced from the Nissan 300ZX. Lamborghini also introduced the GT variant (this one right here) for the first time, which is a race-bred and thoroughly reworked version of the standard Diablo. Limited to a scant 80 units, they’re also insanely rare. On the outside is a bunch of new sheetmetal - or, rather, carbon fiber - to separate the sporty GT from “lesser” Diablos. The face became more squared. Black carbon trim line the lower edges of the car, and there’s even an oversized roof scoop to feed more air into the engine bay. On the inside, it’s been equipped with racecar necessities such as a four-point harness and proper buckets. Sitting behind the cockpit is a revised, larger, and more powerful V12 than the ones used on previous models. 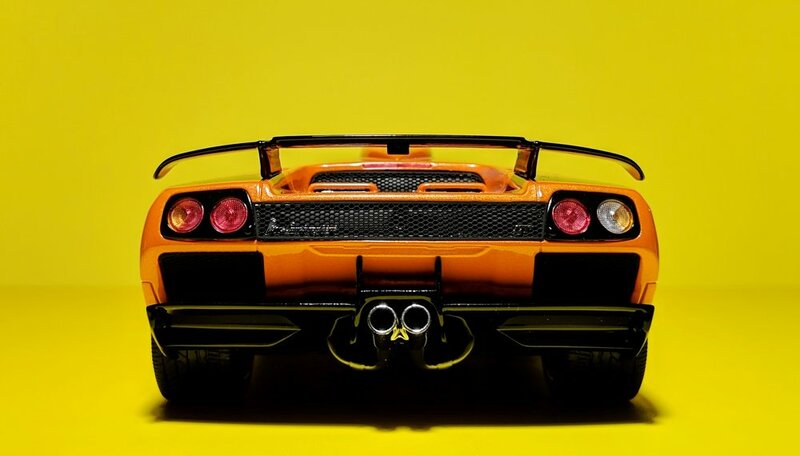 In other words, the Diablo GT is the ultimate street-legal Diablo. Besides the engine, of course, this resin model from GT Spirit does a solid job portraying this rare machine, though it’s not perfect. The exact problems that plagued their previous Diablo model, the SE30 Jota, have still not been addressed. A quick eye test will tell you that the model rides too high and the wheels are proportionally too small. However, because of the GT’s sportier edge, it’s able to hide these flaws better than the SE30 could. Picky collectors will be happy to find that there are plenty of mesh pieces throughout the model - GT Spirit does not do this often anymore! Some of the smaller vents are still solid, but the important ones have not been shortchanged. As a nice little treat, you can even see the radiator fans through the rear grilles. Wheels and brakes, as always, are strengths of this brand. They added an Easter egg to this model, replicating the serial number badges for these GT’s. I would assume (and hope) that they are accurate to the real-life examples of this car, in their corresponding colors. Speaking of colors, this is where it gets fun. 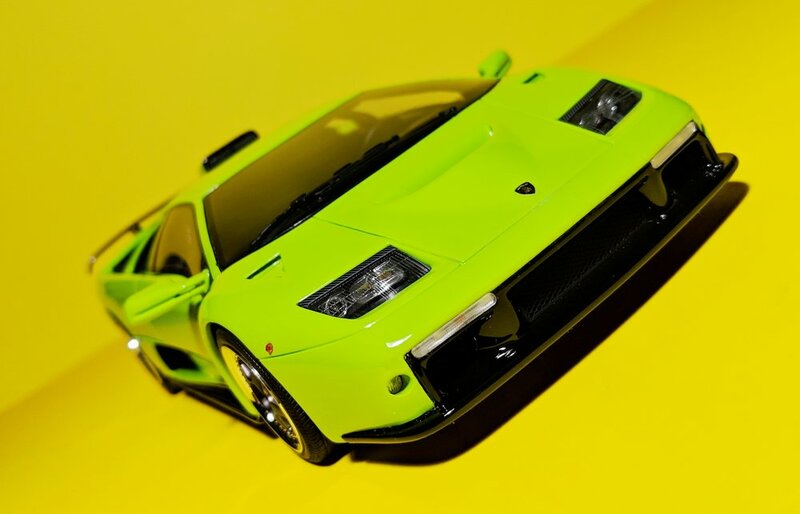 After all, what’s a Lambo without flashy colors? 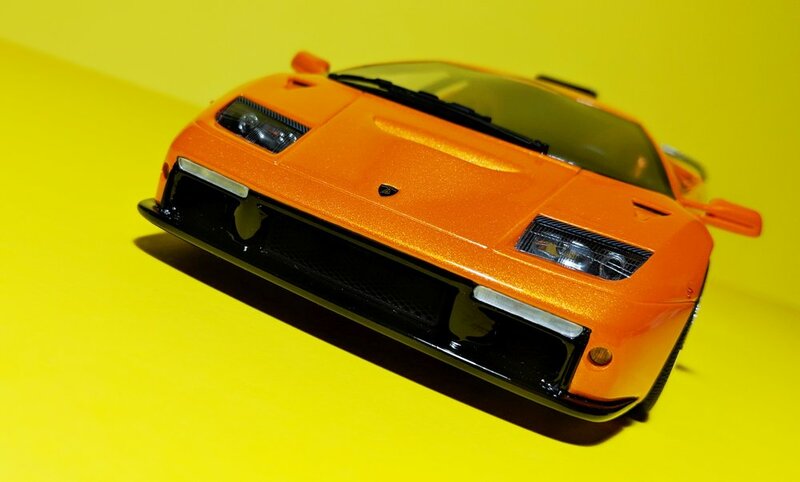 The orange model was released late last year and is branded as a Kyosho, limited to 500 pieces, and the green one (which isn’t actually an original Diablo GT color) just landed last month and is even more exclusive at just 300 units. If you’re the boring type, you can pick up a silver one instead. As for which color I prefer, I’m picking my Lamborghini the same way I pick my salsa. Arancio is a solid choice, but verde is the clear winner here. I trashed all my old, broken toys long ago when I started seriously collecting as a hobby. Now, with numbers seven and eight of these “adult” Diablo models, it’s safe to say I’ve found suitable replacements for my old beloved toy. And, so, the devil lives on.